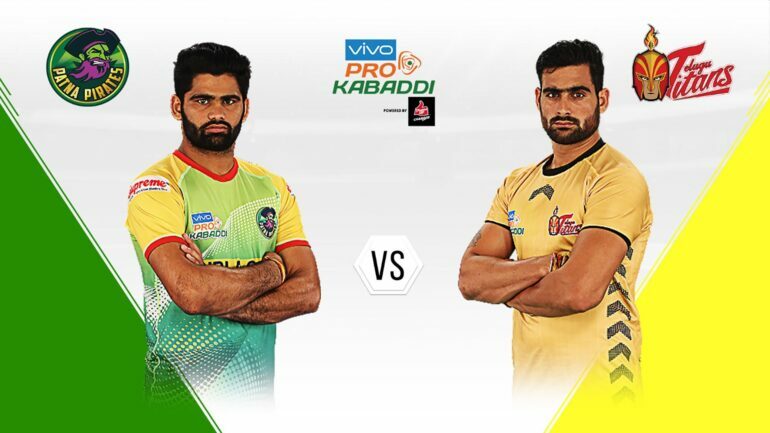 On the twelfth day of Pro Kabaddi League Season 6, The first match of the day was Patna Pirates vs Telugu Titans. Both teams played three matches, won two matches and lost one match in PKL season 6. Telugu Titans won the toss and selected choice of court. After 15 minutes Patna Pirates’ Pardeep Narwal raid successfully and with this raid Telugu Titans all out, Patna Pirates with 4 point lead and score 12-6 on the table. At halftime Patna Pirates with three-point lead and score 17-14 on the table against Telugu Titans. Vijay unsuccessful raid after halftime and with this Patna Pirates all out with score 21-22 on the table. There was two time 18-18, 27-27, both teams got chance to get ready for the win from the levelled score. Telugu Titans easily managed to convert halftime one-point lead to four-point lead win with score 31-35 on the table. Telugu Titans won the match against Patna Pirates. Puneri Paltan won two matches and lost two matches, while Jaipur Pink Panthers won one match and lost one. Puneri Paltan won the toss and selected choice of court. After 20 minutes of the game both team with levelled score 11-11 on the table. At halftime, Puneri Paltan leads by 1 point against Jaipur Pink Panthers with 13-12 score on the table. 11-11, 13-13 levelled score gives confidence to all players to come back. Last 5-minute Palatan’s Sandeep Narwal raid unsuccessfully and got bonus point with this Puneri Paltan all out at score 25-24 on the table. Puneri Paltan managed to convert one point lead to four points winning lead with score 29-25 on the table against Jaipur Pink Panthers. Puneri Paltan won their third match in Pro Kabaddi League Season 6.